Using PowerPoint for all of your class presentations can get really boring. Then, even worse, the university makes you take a class about how to use PowerPoint. When did Microsoft suddenly create a monopoly on every presentation ever made? If you’ve thought these things, you’ll be glad to know that a bunch of lesser-known slide show softwares exist. Many of these programs are even available for free download from the internet. Here’s a handy list of the top five PowerPoint alternatives. 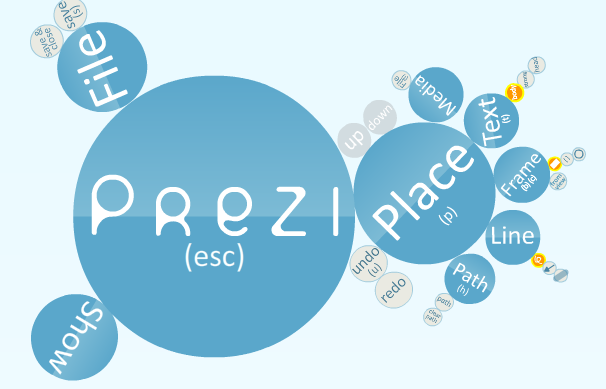 Prezi is a new cloud-based software great for presentations. You can use Prezi on a Windows PC, Mac, or iPad. One of the features that sets Prezi apart from other products is its zoom feature. You can zoom in and out of any part of your presentation. Students can use the Edu Enjoy Prezi plan for free! The Edu Enjoy plan is an upgrade from the standard public plan, allowing you to use your own logo and access a free premium customer support service. When you use the Edu Enjoy plan, you can also ensure that your prezis are private. Most college students are familiar with Google Docs. It is one of the easiest ways on the web to create files that have multiple contributors. Now, Google Docs has a presentation option as well. Google Docs presentations are incredibly similar to PowerPoint presentations, but have the added benefit of letting multiple users edit the presentation. Google Docs is available for free to all personal Google and Gmail users. Google Presentations is a great tool for presenting a class project. SlideRocket is a software reminiscent of an old photo slide show. Despite its somewhat nostalgic feeling, it actually is very up-to-date and presents amazing graphics. If you are creating an image-heavy presentation for an art class, in example, SlideRocket is just the tool you need. SlideRocket displays high-res photographs and images much better than PowerPoint. Zoho Show is essentially a generic form of PowerPoint with the added feature of letting people audio chat while presenting. This is a great tool for long distance presentations. However, most college students will find Zoho Show pretty useless. It is a handy tool to use for a distance learning class, otherwise, one of the other featured PowerPoint alternatives will suit a student’s needs better. Now that you are aware of a variety of alternatives to PowerPoint, there is no need to pay big bucks for the real thing. In true hipster style, go for the program that’s awesome, but no one’s ever heard of. Mia Smith is a recent graduate of Florida State University, and former English Literature major. She currently resides in Tallahassee, Florida with her boyfriend, dog, and two cats.